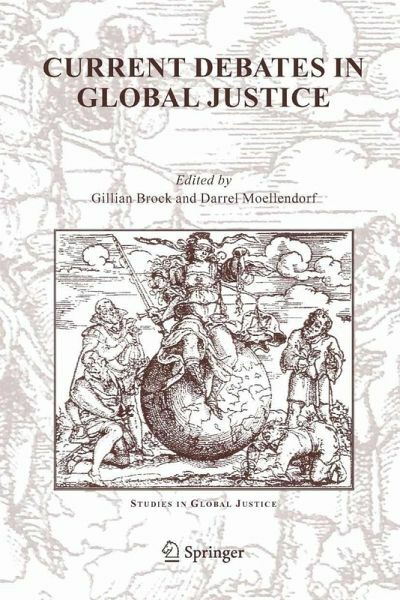 Issues of global justice dominate our contemporary world. Incre- ingly, philosophers are turning their attention to thinking about particular issues of global justice and the accounts that would best facilitate theorizing about these. 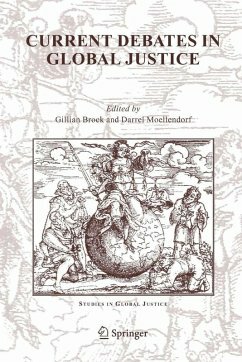 This volume of papers on global justice derives from a mini-conference held in conjunction with the Paci?c Division meeting of the American Philosophical Association in Pasadena, California, in 2004. The idea of holding a mini-c- ference on global justice was inspired by the growth of interest in such questions, and it was hoped that organizing the mini-conference 1 would stimulate further good writing in this area. We believe that our mission has been accomplished! We received a number of thoughtful papers on both theoretical and more applied issues, showing excellent coverage of a range of topics in the domain of global justice. A selection of some of the very best papers is published in this special issue of The Journal of Ethics. In particular, we tried to include papers that would re?ect some of the range of topics that were covered at the conference, to give readers a sense of both the scope of the ?eld as it is currently emerging and the direction that the debates seem to be taking. As a result of increased attention to theorizing about global j- tice, cosmopolitanism has enjoyed a resurgence of interest as well. Gillian Brock and Darrel Moellendorf, Introduction. Charles R. Beitz, Cosmopolitanism and Global Justice. Thomas Pogge, Real World Justice. David Miller, Against Global Egalitarianism. Mathias Risse, What We Owe to the Global Poor. Sanjay Reddy, The Role of Apparent Constraints in Normative Reasoning: A Methodological Statement and Application to Global Justice. Richard J. Arneson, Do Patriotic Ties Limit Global Justice Duties? Dale Jamieson, Duties to the Distant: Aid, Assistance, and Intervention in the Developing World. Luis Cabrera, The Cosmopolitan Imperative: Global Justice Through Accountable Integration. Omar Dahbour, Three Models of Global Community. Robert E. Goodin, Toward an International Rule of Law: Distinguishing International Law-Breakers from Would-Be Law-Makers. John W. Lango, Preventive Wars, Just War Principles, and the United Nations. Gopal Sreenivasan, Does the GATS Undermine Democratic Control over Health? James P. Sterba, Global Justice for Humans or for All Living Beings and What Difference It Makes.